Lawless is a brand new star studded movie by director John Hillcoat (The Road, The Proposition) about a gang of bootleggers in Virginia during the Great Depression. And when we say star-studded, we really mean it: Guy Pierce, Gary Oldman, Tom Hardy and Shia LeBoeuf signed up for the gritty and evocative story about brothers who try to create their own American Dream during Prohibition. 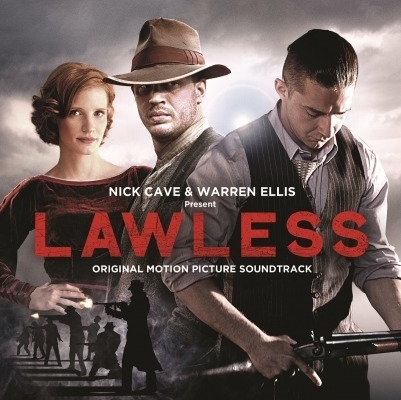 The Lawless OST contains cover versions of artists such as Velvet Underground and Captain Beefheart and also features original compositions by Cave/Ellis and the great Willie Nelson!